Separate lock and shim materials. Changing lock for other nuclei is easily accomplished. Ideal for cells and other bio-fluids. Fill active area of coil with native sample formaximizing sensitivity and place the lock in a special insert positioned just at the top edge of the coil. 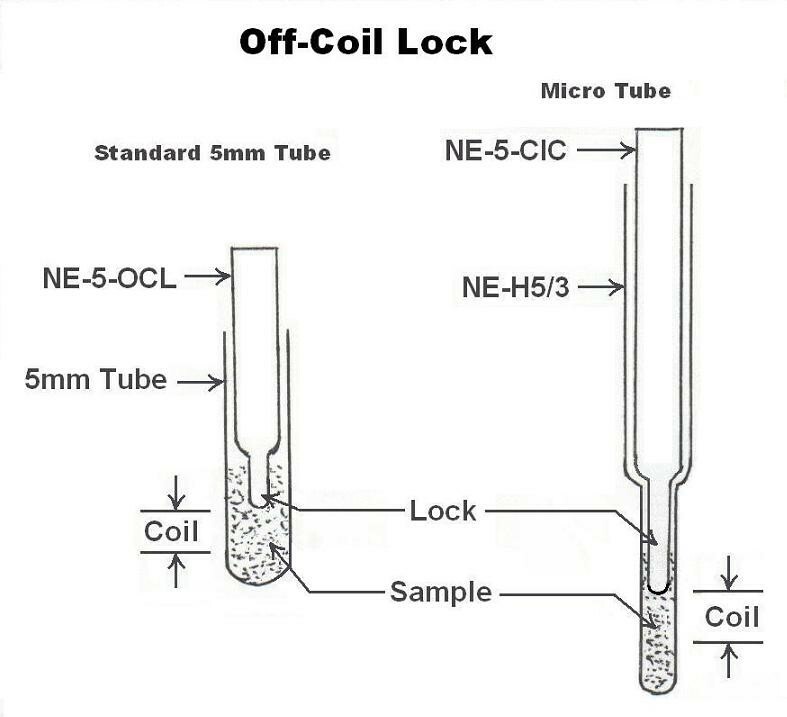 The D2O lock is sufficient to stabilize the magnetic field and gradient shimming can be done on the 1H signal of the water in the sample. Outer tube for use with both NE-5-OCL and NE-5-CIC.